Cucumbers are one of my very favorite vegetables. I feel like I could almost live on them- especially when they're tiny, sweet, and crispy. I slice them (with a few basil leaves, or a bit of grapefruit peel) in my water, I like them for snacking, in sandwiches, and raita or tzatziki. This morning my breakfast was leftover tomato, cucumber, and feta salad. YUM! Our animals get in on the cucumber love, too. The chickens love the peels or gotten-too-big cucumbers that friends give me, and even Ajax, my 18 month old chocolate lab, likes his cucumber treat. He can actually hear the sound of cucumber slicing from across the house and comes to beg for slices! 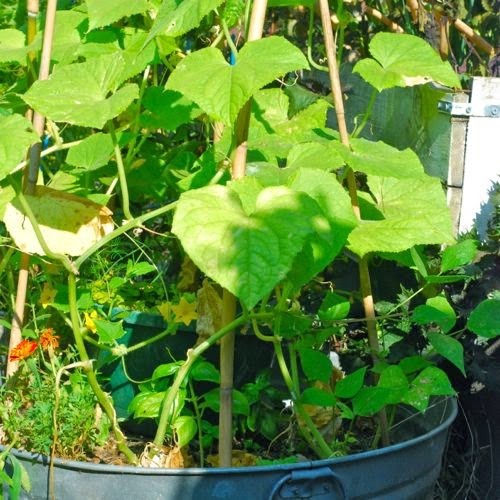 Every year I've planted cucumber seedlings in my garden, only to have them chomped down by some garden varmint the day after I plant them, so this year, after seeing it happen again, I filled an old galvanized tub with some potting soil and planted seeds. Is it silly to say I was amazed that they sprouted and thrived? In late May, we happened to stop by a tractor supply store to pick up some straw for our chickens and I glanced at their seed display. I picked out packets of tiny, cornichon-type cucumbers and a lemon cucumber for my newly filled tub. I also planted some pole beans in case the cukes got eaten up, and underplanted the whole thing with basil, because I never have enough basil. In my planting, it seems like I had just a few of the lemon cucumber seeds sprout, because this is the first one I've seen. 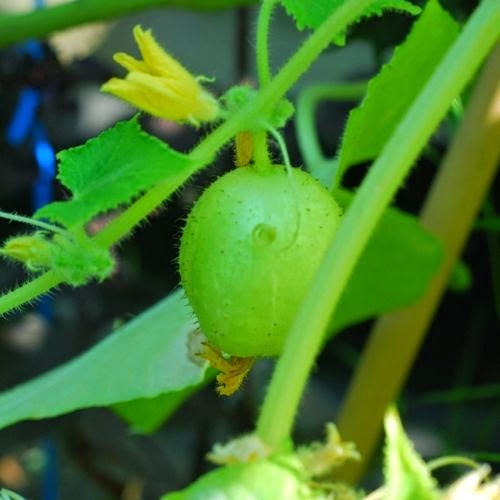 It's still quite small and hasn't colored up yet, but I hope since I planted them so late (mid April is when people in Memphis usually put in their gardens), they'll continue fruiting into the fall. These babies are my favorites. I don't think I'll have enough to pickle- really I've just been picking and eating 3-4 a day. 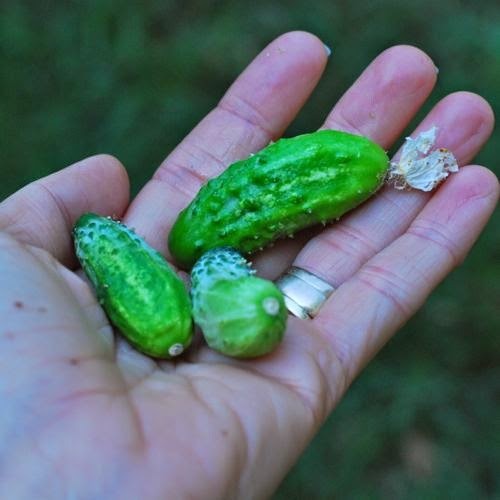 I think next year I'll plant several more (I have perhaps 7 vines of both varieties) so that I can try pickling them. What are your favorite cucumber dishes? 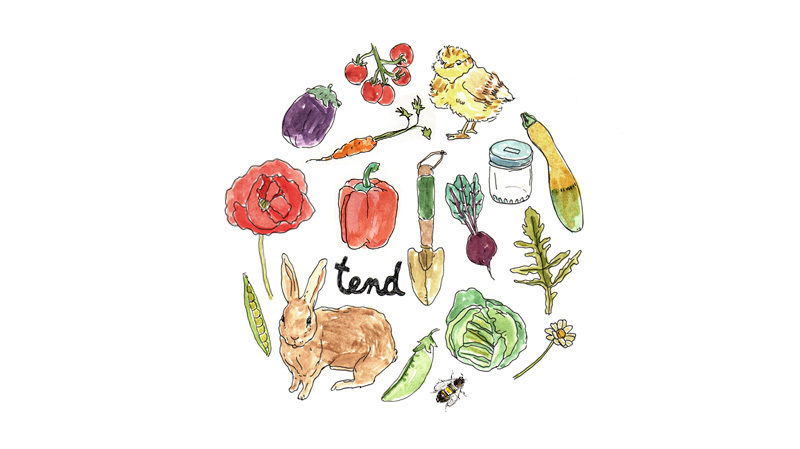 gardening is fun. i have never seen a cucumber growing before. it is pretty cool! i hope you have a great day! take care. Lemon is all we grow any more. Perfect serving size and shape! !